You Let Someone Down. Here’s How You Can Make Up for It. Wow, Meh, or Bleh – the choice is yours. We all want to be wowed in life. We’re all looking for wow moments.What is wow? My definition, taken from Michael Hyatt’s excellent post on the subject, is “exceeding expectations.”Think about it. My wife and I get a babysitter, make our way to the movie theater, and pay for a ticket to see some superhero beating up some other superhero for 2-plus hours. And if all we get are met expectations, or “meh”, as some call it, are we really being wowed?And if we fail to meet expectations at all, that’s surely not a wow, nor is it a “meh”, it’s more of a “bleh”, and it could even be considered as theft. Did you get that? If you take someone’s money, or just their attention and time, and do not meet their expectations, you’ve taken something from them. That, my friends, is a trust violation.And, of course, my wife and I went to see the new Captain America movie last week. I expected to see a whole bunch of Marvel characters beating each other up in a melee of superpowers on display. And my expectations were met. But I was wowed as well – not with the melee of superhero destruction, but with the humor. The humor of that movie exceeded my expectations, and that is what I remember most about that film. There’s yet hope for you. A little over a year ago, a budding start-up founder named Tim Metz was looking for a content marketer (a blogger-type person – like me!). He needed help to launch his new business idea, based on his passion for productivity. 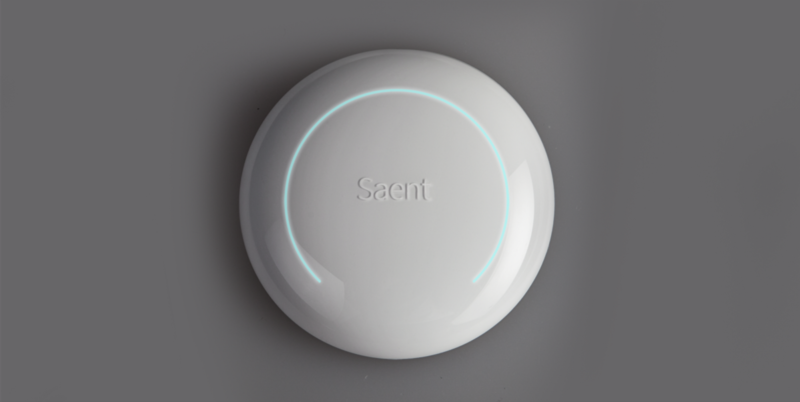 It’s called Saent, and the idea is basically this: a “Do Not Disturb” button for your life – that actually works. Tim posted an ad for the position on a freelancer website. From lone ranger to team player. Then one day a few weeks later, something happened. I checked my email inbox to find I was invited to what seemed to be a plethora of online apps and groups. These would all serve as the collective hub for Saent’s remote team. So, at that moment, I went from solo freelancer to team member. I was no longer just some lone ranger, I was part of the team, and we were in this together. Now I was the one who was wowed. I loved it. This exceeded my expectations.I got to meet new team members in different time zones, and plug in on chats about stuff like investors and venture capital. I got notified of all the buzz our company was getting from popular blogs. In general, I got all excited from the wind-up before the stretch of our upcoming crowdfunding campaign. I was flying high.As a new team, we were smitten by each other. We chatted together, and we even dropped comments about possible team retreats and our shared music preferences. It was awesome to be a part of something. Can you feel that energy?But slowly, something started happening. Little by little, I noticed that other people were working on tasks that I had hoped to be the one doing. I tried to keep my head down and focus on shipping the content I was creating, on doing my job, but something was getting in the way. It was my need for approval. I needed to know I was wanted, I was valued, I was necessary.So I started submitting work that was half-baked. I was going for quantity, not quality. I was barely meeting expectations – and I definitely wasn’t exceeding them. I wanted approval, fast. I finally put the brakes on this behavior, but it had already become clear that I was not doing work on the level that Tim was looking for. Never give up on wow. Wows are powerful – 2 wows will trump 3 mehs any day of the week.And that’s what I want you to do – I want you to be a person who wows people. But even more so, I want you to be a person who delivers wows even after delivering mehs and blehs. Even after you’ve just met or failed to meet expectations.Never give up on wow.You can learn more about Saent here.Have you been delivering mehs and blehs? Is there a way you can turn the situation around and starting giving wows? I’d love to hear about it – let me know in the comments below!